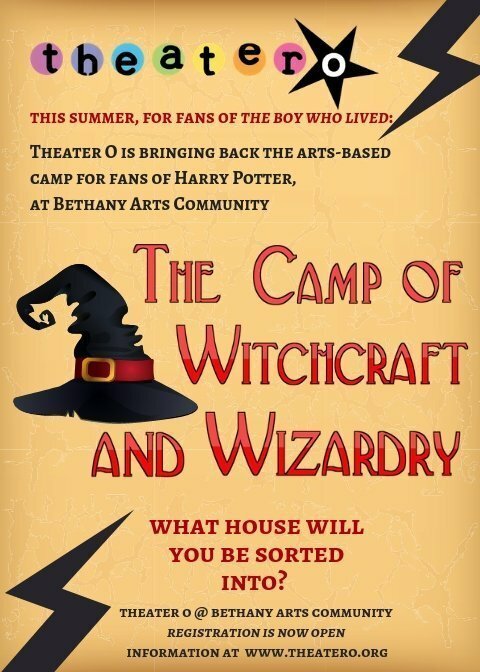 Housed on the beautiful Bethany Arts Community Campus in Ossining, NY, The Camp of Witchcraft and Wizardry is open to muggles ages 8-14. Staffed by Theater O, the camp explores the magical world through theater, art, music, puppetry, storytelling, games and more. This creative program will run for four weeks, July 8- August 2. It is for fans of The Boy Who Lived as well as all things fantastical and magical! Campers are sorted into houses, participate in a House Cup Competition complete with Tri-Wizard Challenges in the Forbidden Forest, daily quidditch matches (and, of course, a Quidditch Cup!) all with an artistic bent. Attend one, two, three or all four weeks.